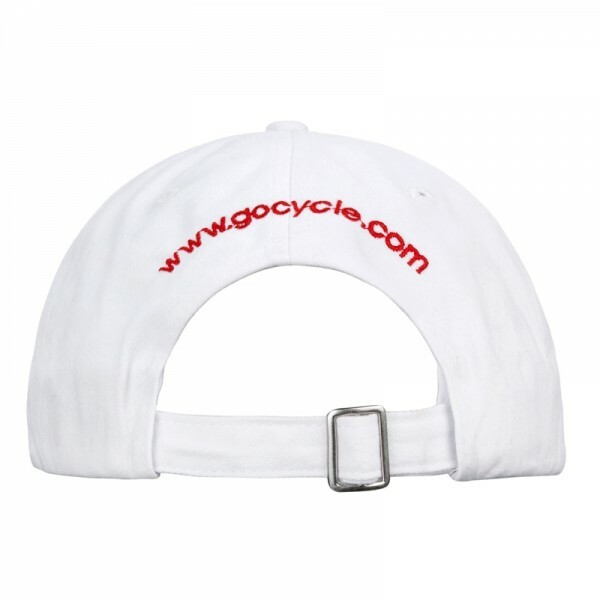 Gocycle cap. White brushed cotton twill. 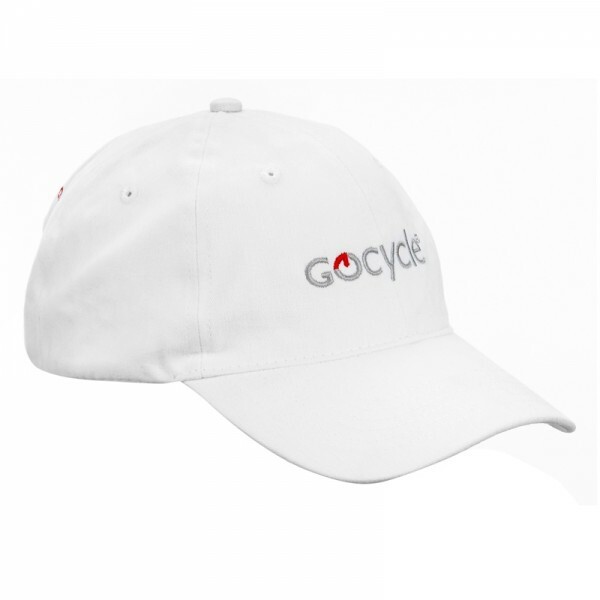 Embroidered with Gocycle logo on front. Gocycle URL embroidered in red, curved over back opening. Size adjustable. One size fits most.